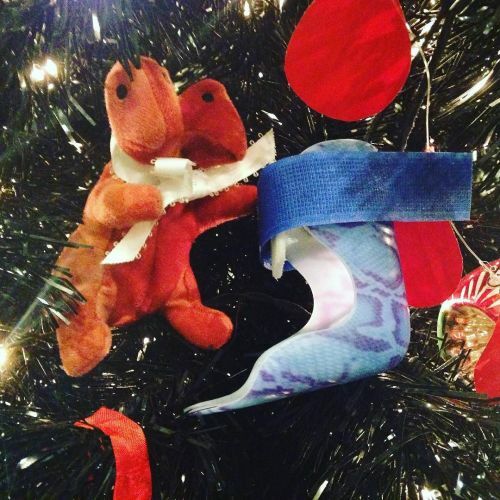 "Two more from the #MütterTree - a baby brace by @mwacker7… and a conjoined dinosaur. Our museum is closed Christmas Eve and Christmas Day, and will reopen Saturday 10am. #holidaytree #holidays #muttermuseum #holidaytree #conjoined #dinosaur #brace" By muttermuseum on Instagram.